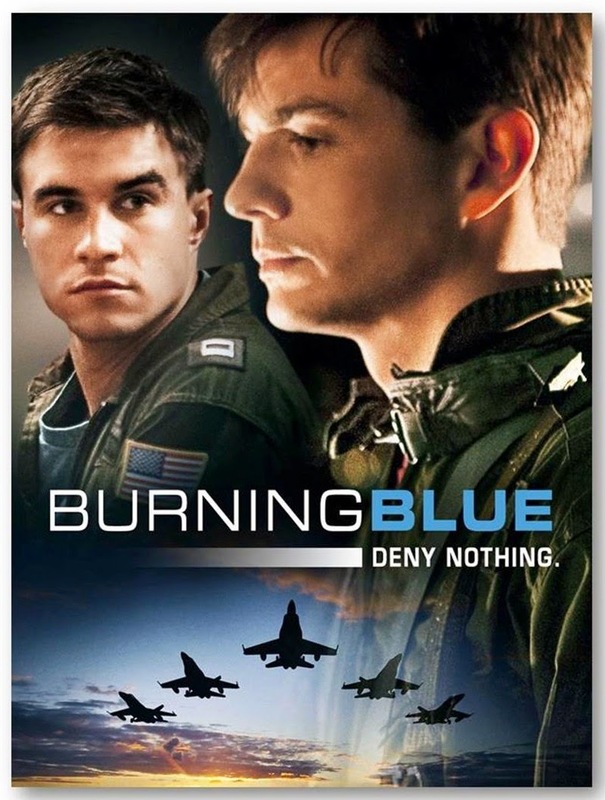 Last week TD and I attended a preview screening for the new movie Burning Blue about a love affair between two Navy pilots. The movie was written and directed by DMW Greer, who spoke eloquently before the theater lights went down about how the movie was inspired by an experience he himself had had in the Navy. He originally wrote a play about it which ran in London and then New York, and now has produced this movie. Set in 1995, the Navy pilots, played by the handsome Trent Ford and Bob Mayes, are caught in Bill Clinton's ridiculous "Don't Ask Don't Tell" policy, when military personnel could still be discharged for being gay. All the snooping and investigating and effort spent to discharge gay people in this movie is truly disheartening. Thank heavens that in 2011 Obama ended the ban on gay people in the military, when he said, "Our military will no longer be deprived of the talents and skills of patriotic Americans just because they happen to be gay or lesbian." Bravo Barack. The movie features a good story, strong performances, and points to how far gay rights have come since 1995. BB says thumbs up to Burning Blue! 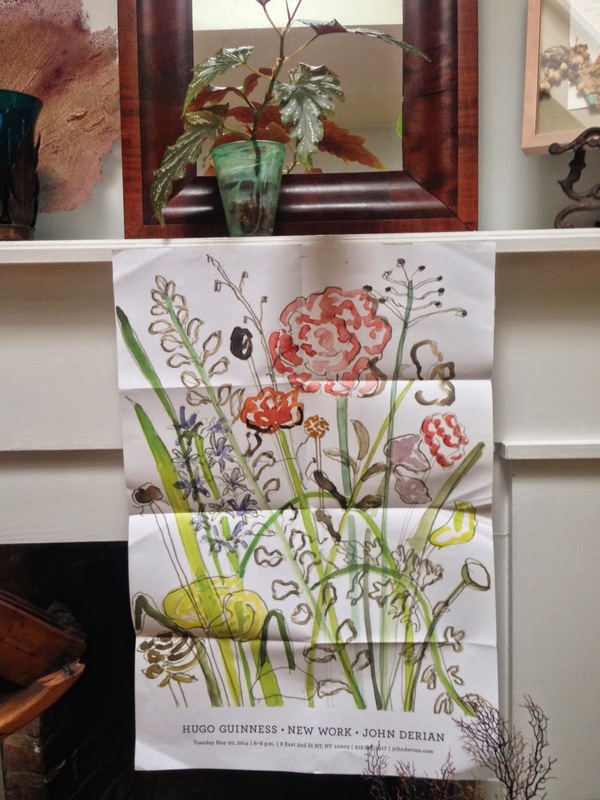 Recently in the mail came an invitation from John Derian to attend an opening party for the latest art works by Hugo Guinness. Most invitations these days come over the email transom so it was a pleasure to open the large paper envelope and unfold a delightful Hugo Guinness watercolor poster which I promptly tacked onto the fireplace mantel. I have been a big fan of Hugo's artwork from my visits to John Derian, who, along with Mary Randolph Carter, has had a big influence on me. 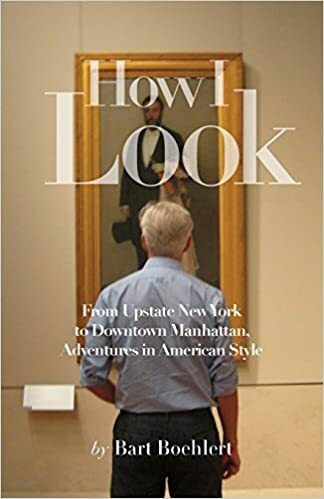 I had not had the pleasure before of meeting Hugo Guinness, who lives in Boerum Hill in Brooklyn with his wife artist Elliott Puckette and their two daughters. 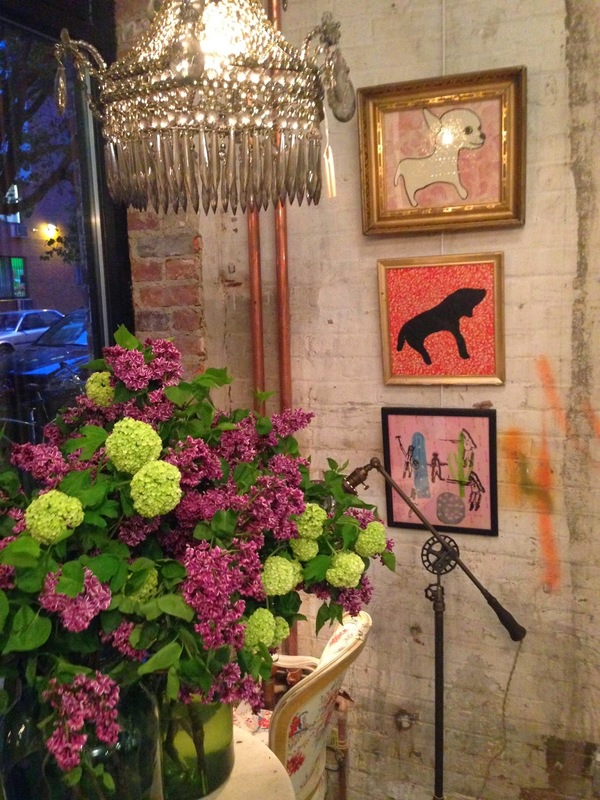 Each May he brings his new work to the John Derian store. The opening, held in John's new furniture store on East 2nd Street, was a breezy fashion/art/publishing gathering with Deborah Needleman, the editor of T: The New York Times Style Magazine, Adam Rapoport, the editor of Bon Appetit magazine, James Truman, Anne McNally, Ken Fulk, Tom Delavan from Gilt.com, Nicholas Manville from Ralph Lauren, and lots more mingling about. Our host John Derian and Hugo Guinness were in the middle of the room so I got a chance to say hello. 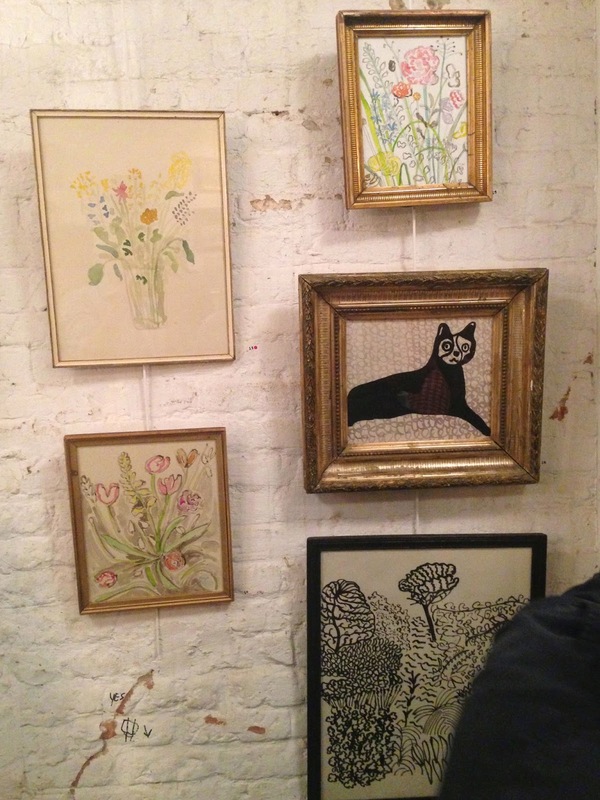 "They are things that amuse me," Hugo told me about his watercolors and linoleum prints. "I try to take risks and do something different each year. There are things that are pretty. I don't think there is anything wrong with pretty. I had all these frames and I had to fill them up," he said dryly. 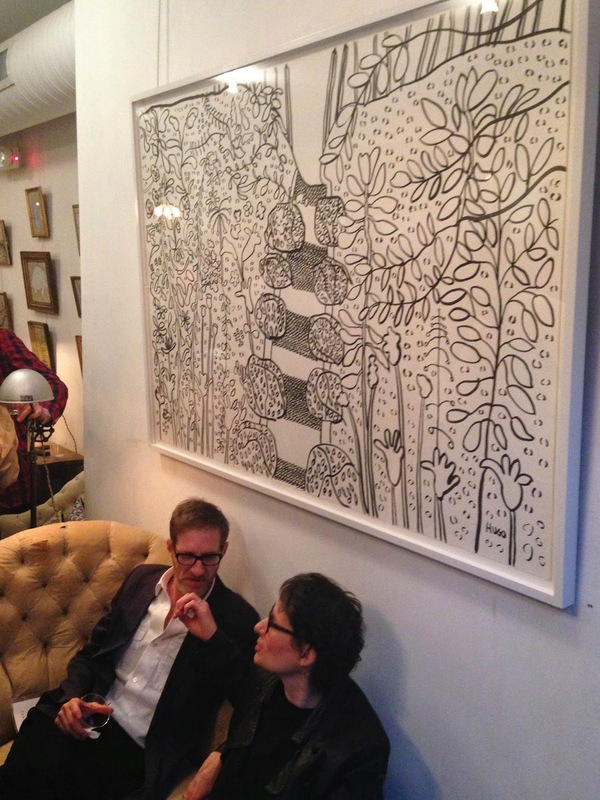 His art, small and large, was hung around the room. I love the light, airy, innocent quality of the work. While I was talking to Hugo, his friend Wes Anderson came by. 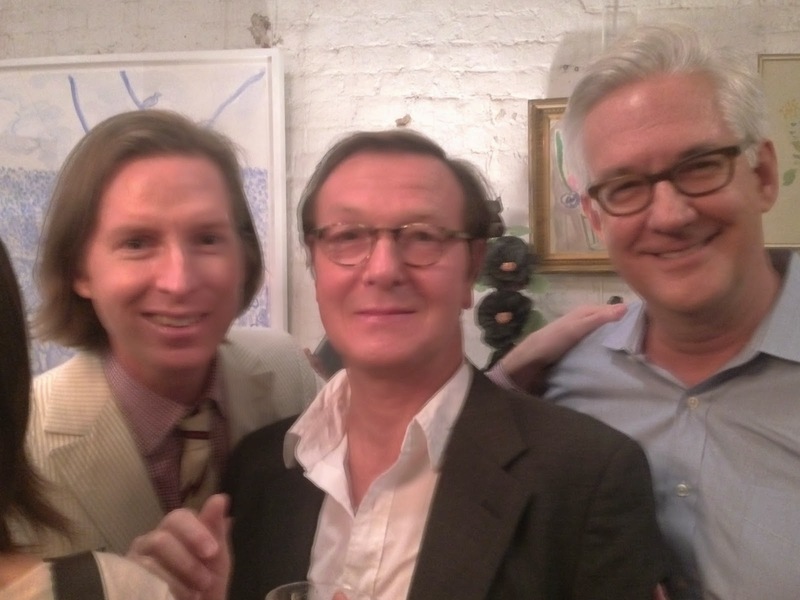 What a delight to meet Wes Anderson! I told him I was a big fan of The Darjeeling Limited. Hugo worked with Wes Anderson on the story for the recent film The Budapest Hotel. "I collect Hugo's work and we have been old friends for many, many years," Wes said to me. Hugo is from the renowned Irish beer and banking Guinness family, and I asked him if he was related to the style icon Daphne Guinness who had the great exhibition at F.I.T. which I covered here on the blog. "Yes, she is my cousin," he reported. "She may be coming tonight." It was a nice evening so TD and I moseyed around outside on the sidewalk. At the John Derian store next door, I spotted the great American model Lauren Hutton inside shopping. Lauren Hutton recently turned 70. This is the new 70. It was a lovely night on East 2nd Street.